Start on Bar Road North opposite what was the Hare and Hounds Public House (now a residential house). 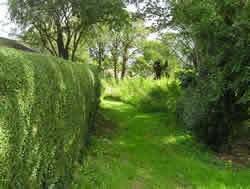 The path runs to the side of J Wharton's Joinery on a piece of land known as The Spinney part of which is planned for a number of new houses to be built. 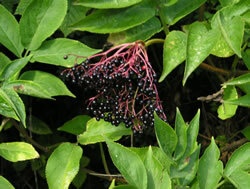 There are several mature trees with a population of Rooks. The walk follows a path that skirts along the side and around the back of J Wharton's (The Green is visible from the corner point) and then along the back of a couple of houses before coming out by the side of The Recreation Room on High Street. A very short walk of approximately 50-60 yards.